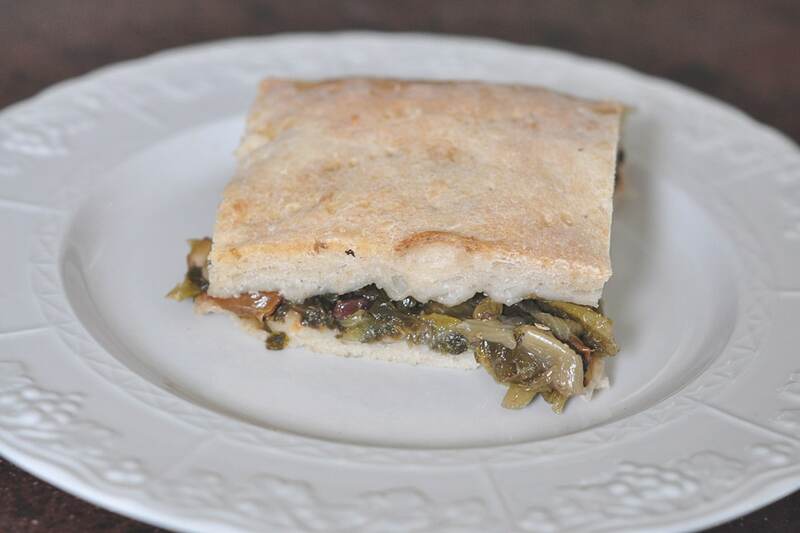 The Escarole Pizza Pie dish is typically made during the holiday season, but it is not uncommon to savor this wholesome rich, leafy, nutty pie year-round. 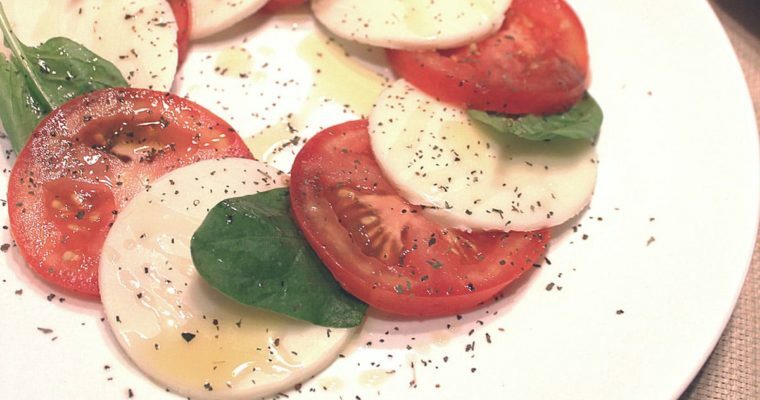 There are those who love to enrich it with sausage versus the typical anchovies, or those who prefer to have more of the earthy escarole, olive, pine nut mixture versus the bread portion. How will you prefer yours? This dish was most likely invented to make use of leftovers. 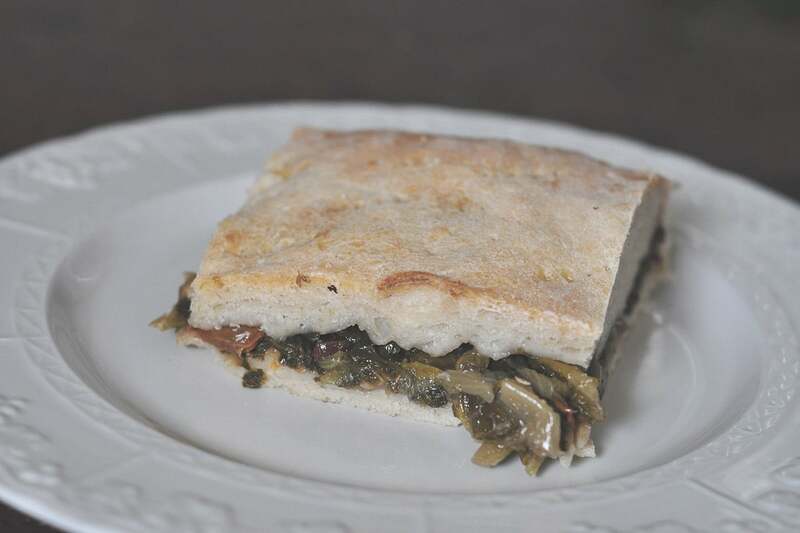 For example, in Naples, escarole like broccoli rabe, are considered the queen of green vegetable leaves and are used in traditional recipes, such as Escarole Pizza Pie. Enjoy our Escarole Pizza Pie! Step 1 We start preparing the dough by mixing all the ingredients except the yeast. We form firm dough and then slowly turn in the yeast that was previously dissolved in some water. We work the yeast vigorously in the dough until the it is smooth. 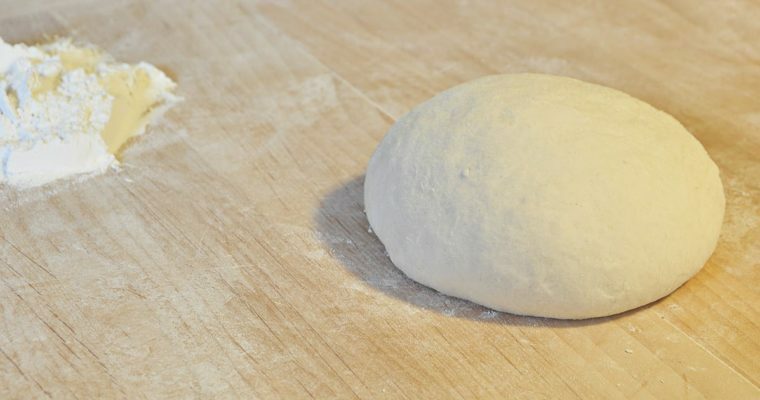 The dough goes then placed to “rest” in the refrigerator for 24 hours, covered with a cloth. Step 2 The next day we pull the dough from the fridge, we form two loaves, roll them up again in a cloth, and let them rise for another 3 hours. Step 3 Now we can wash the cut escarole and then blanche it in salted water for a few seconds. Remove the escarole and leave it to cool in ice water. Step 4 At this point we eliminate the excess water squeezing the escarole and passing it in a pan with the oil, garlic, olives, and anchovies. Step 5 Once these have cooled together for a couple of minutes, we add in the raisins and pine nuts. Adjust with salt and pepper to taste and let simmer until the mixture has all amalgamated together. Step 6 Now we rub oil on a baking sheet and stretch one of the dough balls within and over the pan and then poke some holes in it with a fork here and there. Step 7 We then fill it with the escarole mixture, making sure to flatten it and make it even. Step 8 Now we can cover with the other dough ball, stretching it to close over the mixture in the pan and pressed in with the dough over the sides to form a crust. Pour some oil over the surface of the pizza and rub it in around the surface of the pie. Let it rise for another two hours. Step 9 Then we bake at 425 ° 40 minutes, or until the pie has turned a light golden color. Step 10 Let cool a few minutes and then slice into hefty pieces.